A selective 1D version of the HCH experiment (selHCH) is proposed for the efficient and fast correlation between protons belonging to different spin systems. The experiment consists of two consecutive, doubly selective heteronuclear JCH transfer steps that can individually be optimized. As any conventional proton-selective 1D experiment, the successful application of a frequency-selective 180° pulse on a well-isolated proton is the only practical requirement. 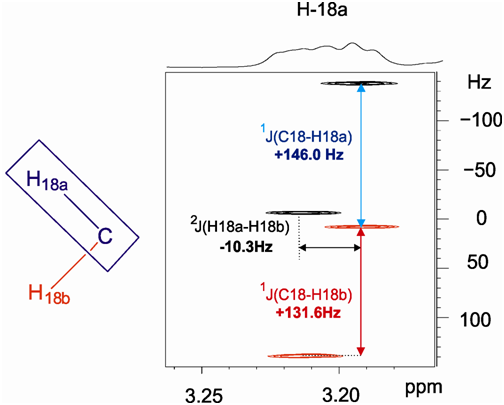 The resulting clean selHCH spectrum probes to be an excellent complement to the conventional selTOCSY experiment to trace out proton–proton J connectivities through transparent non-protonated carbons or heteroatom centers. 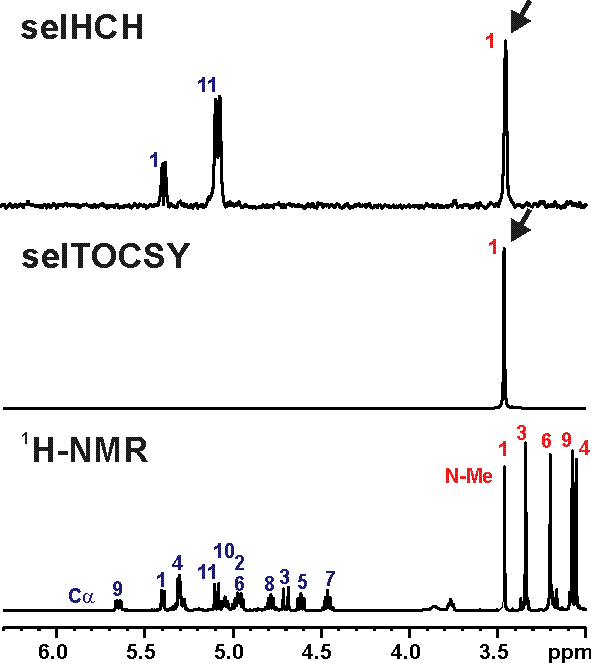 Several selHCH examples on small molecules are provided showing the improvements with respect to the selTOCSY experiment. 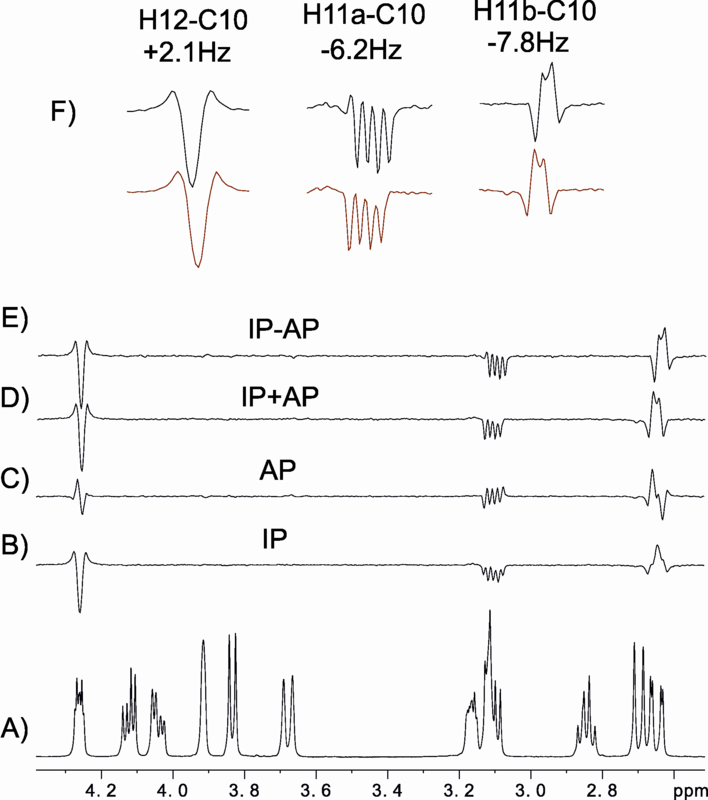 Fast assignment of inter-residual connectivities is achieved by simple comparison of the selTOCSY and selHCH spectra of the peptide cyclosporine.